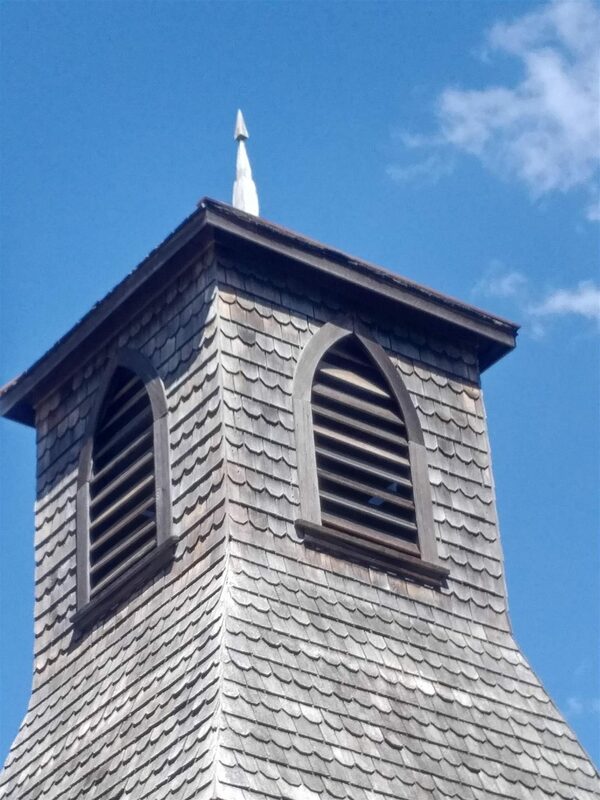 In 2016, work officially began to restore the Little Britain United Church’s bell tower structure at an estimated cost of $18,600. The need for this restoration work was originally identified by Church Council in 2015. The project components were developed on the basis of an assessment and recommendations provided by the Manitoba Heritage Branch of the Province of Manitoba. The project was completed at the end of June, 2017. Construction of the current stone church began in 1872. The bell tower was added in 1920 as a memorial to the veterans of World War One. The restored bell tower will be re-dedicated to these veterans and other members of the Canadian Armed Forces who have served their country. A rededication ceremony and celebration of the restored bell tower will be held on Sunday, September 17, 2017 immediately following the 10:00 church service. Little Britain United Church was declared a provincial historic site in February 1989, and is widely recognized as a heritage destination along the Red River Trail, north of Lockport. This year also marks the 165th Anniversary of the church congregation of Little Britain (1852 – 2017).